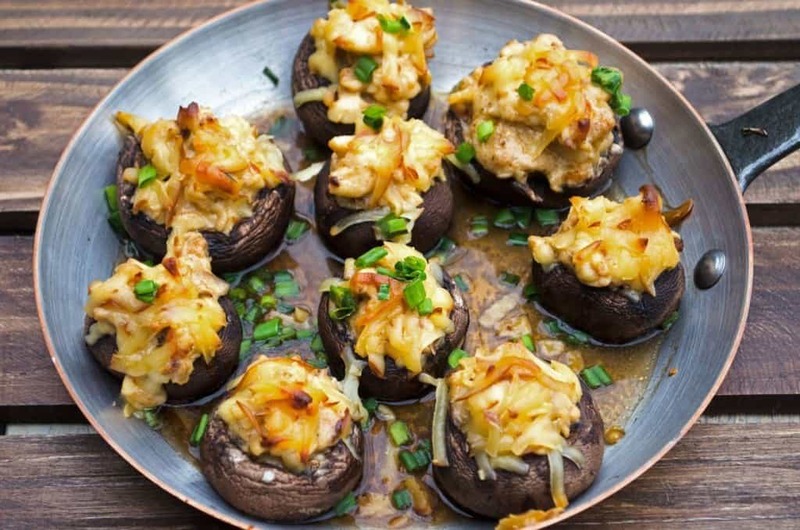 Do you have a lot of stuffed mushroom leftovers from dinner? Do you want to make a large batch of ahead of time? If you said yes, then this article is right for you because I'll try to answer the question that might have been troubling you - “Can you freeze stuffed mushrooms?”. I got concerned with this question after dealing with a lot of leftovers from a previous dinner with my family. To make no stuffed mushroom goes to waste, I conducted a series of research online. Want to know what I found out so far? Keep reading. So, Can You Freeze Stuffed Mushrooms? Stuffed mushrooms are easy to make that’s why they're popular at parties. As the name suggests, this appetizer is just regular mushrooms stuffed with your favorite filling. The classic recipe uses large white mushrooms, but you can also use the large cremini mushrooms as an alternative. When making stuffed mushrooms, make sure that your ingredients are fresh, most especially the mus﻿hroom﻿﻿﻿s. The freshest mushroom must have a smooth appearance and has no sign of blemishes. Observe the thin membrane under the cap. If the veil is closed, then the flavor is delicate. If the veil is open, then it indicates a richer flavor. Yes, you can freeze stuffed mushrooms but you need to take care of them in a particular manner so when the time comes that you need to consume them, they’d be as good as the time when you made them. Many people freeze the stuffed mushrooms raw without baking them. Although you might lose some of the mushrooms’ firmness, the flavor still remains intact when you bake them thawed or frozen. When you decide to freeze the stuffed mushrooms, save a space big enough to fit a small baking pan. Other materials that you’ll need for the freezing process include a parchment paper, freezer bags, and thermometer. As mentioned above, you can freeze the stuffed mushrooms without baking them. So what you need to do first is to prepare the stuffed mushrooms based on your favorite recipe. For instance, if you follow this recipe, you can forget the oven. First, clean the mushroom caps and remove the stems. Don’t throw away the stems because you can chop them up and include them in the filling. Using a spoon, go around the sides and remove the inside of the mushroom to create a pocket for your filling. Watch how the stuffed mushrooms are prepared in this video. Next, make the filling by cooking some sausage, chopped mushroom stems, scallions, and garlic. You can add some bread crumbs or some greens, like spinach, for more nutrients. Now, transfer the sausage mix into a bowl, add some seasonings and cheese, then fill every mushroom with the filling. Now that you have your mushrooms stuffed with your favorite filling, don’t bake them just yet if you plan to freeze them. Get a baking pan and line it with a piece of parchment pape﻿﻿r. The parchment paper will prevent your mushrooms from sticking directly to the baking pan, making it easier to remove them. Next, lay the unbaked stuffed mushrooms on the lined baking pan in a single layer. The open stuffed portion of the mushroom should face upward and the distance between mushroom should be about an inch apart. Place the baking pan in the freezer for three hours max or until they’re solid. For long term storage, store the frozen stuffed mushrooms in a freezer bag. Before you seal the freezer bag, remove all air out as possible as you can. After that, you can store the bag of mushrooms in the freezer for up to three months. To cook the frozen stuffed mushrooms, you don’t need to thaw them. 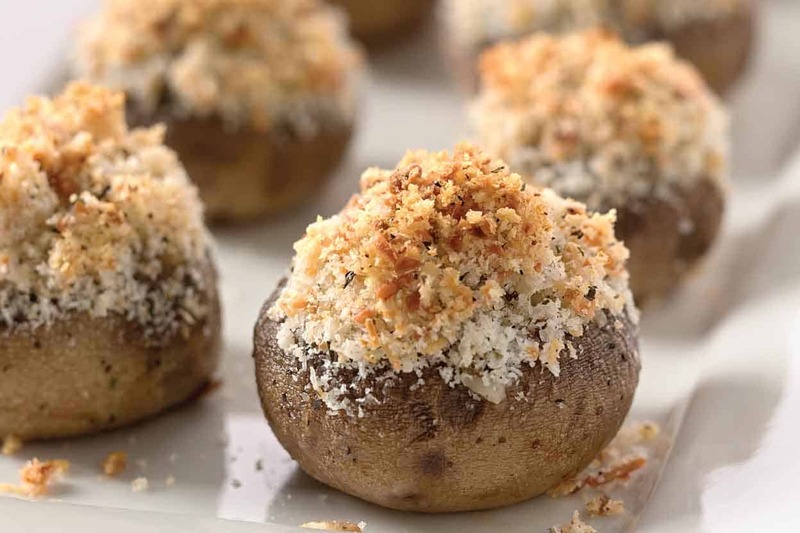 According to culinary instructor Joelen Tan, you can bake the stuffed mushrooms on their frozen state. 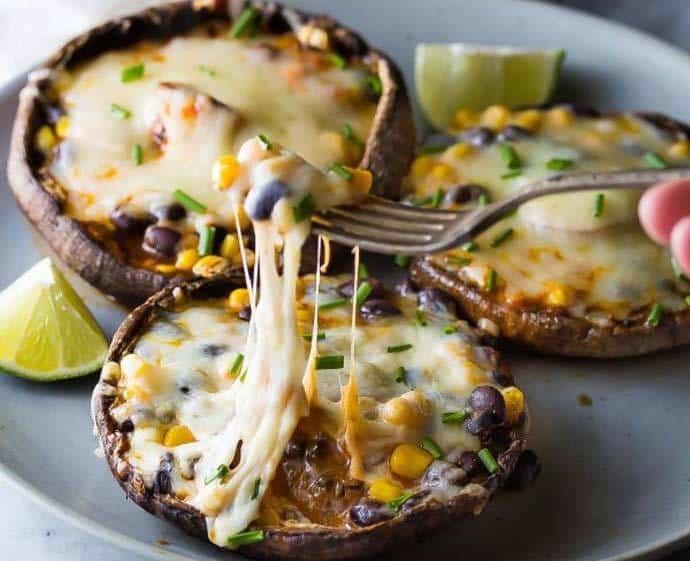 Simply bake the frozen stuffed mushrooms in a preheated oven of 325 degrees Fahrenheit and wait for about 3-35 minutes or until the filling is crusty and browned. You need to it this way so your mushrooms don’t get soggy. For any leftovers, don’t refreeze them. Instead, refrigerate. Can you freeze stuffed mushrooms? Yes, as long as you don’t bake them first. After you have stuffed the mushrooms with your desired filling, place them in a baking pan lined with parchment paper and freeze for about three hours. Next, remove them from the freezer and store them in a freezer bag for long term storage up to three months. If you have any questions or suggestions, let us know in the comments section. Please share this article if you find it informative.